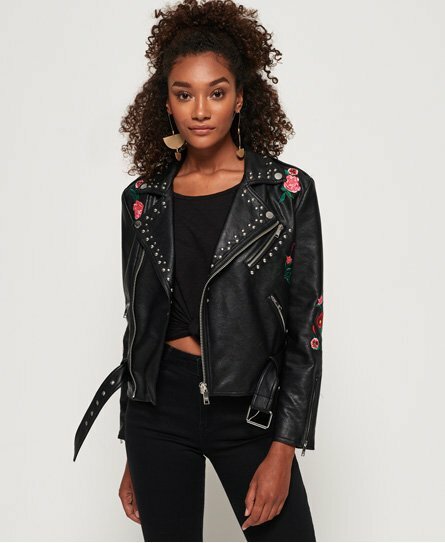 Superdry women’s Georgia studded faux leather biker jacket. This jacket features an asymmetrical zip fastening, two front zip fastened pockets and zip cuffs. The Georgia biker jacket also features popper fastened shoulder epaulettes, a buckle belt around the hem and embroidered floral detailing. The jacket is finished with stud detailing throughout and a metal Superdry Premium logo badge on the sleeve.